This is the Gedeb Chelbessa brought to you by Greenway Coffee Company. Grown by the various small holder producers in the Yirgacheffe region at 1,750 - 2,400 meters, this fully washed coffee is a perfect example of why we love coffees from Ethiopia. We love this coffee for its nuanced notes of fruity acidity with a floral aroma and and delicate mouthfeel. Definitely get more floral notes with these beans compared to other similar Ethiopian beans. Moderate brightness. Overall OK, but not exactly my favorite. It was decent but I much preferred the previous coffee. My favorite coffee from mistobox so far. This is amazing. It is SO juicy sweet. 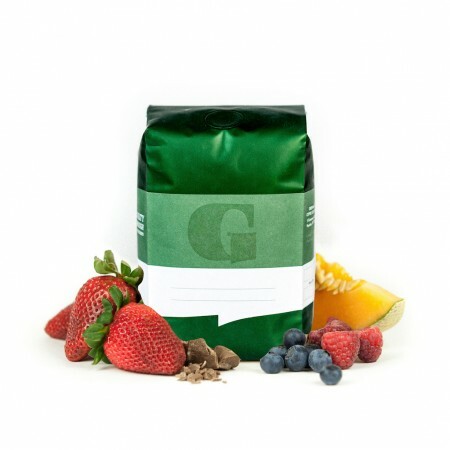 The aromatics are incredible as you start to brew and continue as you drink. It is extremely floral. Really, the tasting notes are spot on (watermelon, lemon, floral). The cup is nice and balanced as well. Really liking the mouth-feel and floral notes of this one. Great choice! Comes in strong. Nice complex blend. I always love African Coffees. This one is probably the most tame of the Ethiopians we've had recently. Watermelon would be right--a light sweetness, but not overwhelming! Good backbone, nice coffee. Made in a French press. Bold nose is very earthy, somewhat like a pinot noir. Taste is heavy on the roast, continues the earthy bold notes with a bit of lemon juice. Seems high on the acid with a relatively one-note profile. There is a savory flavor that reminds me of anchovies in the mid-palate that though very subtle, isn't something I want in a coffee. Finish reminds me of an over-steeped darjeeling tea. Fans of the ever popular Starbucks profile will enjoy this, but I like my coffee a bit more complex in flavor and with more balance. Will try different brewing methods to see if I can soften it.